Busoni, great composer that he was, revered Mozart as greatly as any composer – well, any composer other than Bach, of course. Although Busoni came to Mozart through the nineteenth-century, broadly speaking ‘Romantic’ tradition(s), and although he lauded, in the preface to his own edition, Liszt’s Réminiscences de don Juan for possessing ‘an almost symbolic significance as the highest point of pianism’ (quoted by Charles Rosen), he seems not necessarily to have appreciated the darker side to Mozart as strongly as some of those who came after – above all, Wilhelm Furtwängler, whose recorded performances remain as astounding, as symphonic, as daemonic, as ever. It is a truism, perhaps a cliché, that we all make our own Mozart. Up to a point, that is of course the case, yet that does not make every viewpoint, every experiment, equally worthwhile. Our age, by and large, has not done very well, albeit with noble exceptions. 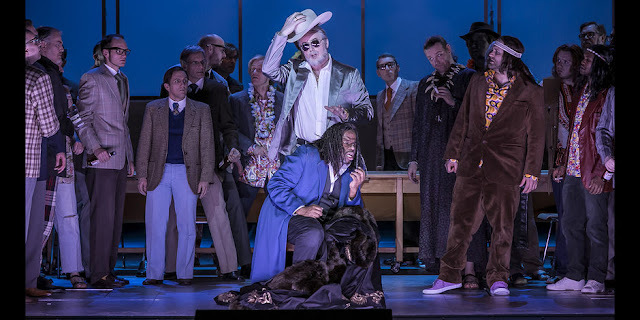 Whereas Dresden did Busoni himself fine service indeed, the previous evening, in his Doktor Faust, this (musically) misconceived Don Giovanni did not, alas, mark anything like its finest hour – mostly on account of the conductor. It has become one of the many clichés to be read in reviews of Don Giovanni performances to call it a director’s graveyard. (Bizarrely, the same seems to have become true of recent stagings of Le nozze di Figaro, a work until recently seemingly imperishable. Così fan tutte rarely does well, either.) Perhaps, but there are certainly exceptions. Most recent of those for me was Stephan Kimmig’s brilliant production for Munich, which I saw last summer. Insofar as one could tell, the fault here did not lie with Andreas Kriegenburg’s production either. It starts promisingly, in a swish fashion or modelling agency, a world of expensive, ruthless vacuity enthroned. (What could be more contemptible than mere ‘fashion’? There are lessons, largely unheeded, for performance there too.) '2064 donne', we read on a wall poster. Such is clearly an environment in which Don Giovanni, aided by Leporello, can have his pick of the depressingly interchangeable ‘girls’. Harald Thor’s set designs and Tanja Hofmann’s costumes work well, adding to what one can discern of the concept. The problem is that it all becomes rather lost. I suspect that tighter revival direction – I do not necessarily mean this as a criticism of the person to whom this was entrusted: there may not have been enough time, enough resources, and so on – would have made everything much clearer. As it is, for an alarming amount of the time, the singers seem to have to make their own drama from the designs, and that is more or less it. They generally did pretty well at that, but there is a limit to what can be expected of them, and, modern(ish) look aside, it all comes a little too close to a repertory night in Vienna. There was worse to come, though, much worse. Exhibitionistic continuo playing is another curse of our age, it seems, but I have never heard anything quite on this level, before. Quite why we had harpsichord and what sounded like (I presume it was a trick of the acoustic, but who knows?) some sort of amplified early-ish, but not that early piano, I have no idea. There did not seem to be any obvious, or even elusive, point being made, and the lion’s share was reserved for the latter. Not being able to see the pit, it took me a while to realise that it was Welber playing whatever that strange-sounding instrument may have been. Whereas some more interventionist accounts seem to offer a commentary on the action – one can argue about whether that is what a continuo player ought to be doing, but that is another matter – this seemed to be simply a case of ‘look at me’, or rather ‘listen to me’. One tires quickly of formulaic figures, but they would have been preferable to the lounge pianist meandering we heard here, replete with all manner of very strange harmonies, endless sequences of Scotch snaps, keyboard crashes and clashes, changes of metre, and so on and so on. (It was the sort of thing that certain undergraduates find hilarious after a few bottles of wine, whilst everyone else looks on, baffled and not a little irritated.) One recitative, at least, seemed to end in entirely the wrong key, rendering its non-transition to the ensuing aria both painful and inexplicable. A mismatch of tuning between the instrument and orchestra did not help, either. That, however, was almost as nothing, compared with Welber’s tampering – again, to no discernible end – with the orchestral score. This was not some Mahlerian retouching, nor indeed was it something more artistically adventurous. It sounded utterly arbitrary, and involved the apparent deletion – to begin with, I thought it must be a matter of strange balance, but then realised better, or worse – of certain lines, leaving either nothing, or an opportunity for one of the continuo instruments to play instead. The orchestral introduction to one second-act aria – I cannot remember which: perhaps a blessing... – was removed entirely, the music played instead by the harpsichord. In another number, during the first act, the other continuo instrument loudly banged out the orchestral line an octave higher, doing its best to obliterate the orchestra. Another orchestral ending was close to drowned out by crashing, clashing keyboard chords. Unmotivated tempo variations – sometimes quite at odds with what was being sung onstage – only compounded the mess. When Welber settled down, he seemed perfectly capable of delivering a reasonable enough performance; the problem was that he rarely did. The unholy conflation we generally endure of Prague and Vienna versions is perfectly understandable as a sop to singers, and their fans, although it remains dramatically quite unjustifiable. One might make a case, if one were so minded, for Vienna, if only out of difference, but frankly, it would be misguided at best. Nevertheless, that was pretty much what we heard here – with the important proviso, rarely heard, that there is much we simply do not know about Mozart’s Vienna performances, and we should almost certainly do better to speak about them in the plural. It was mildly interesting to hear the duet for Zerlina and Leporello: the first time, I think, that I have done so in the theatre. It is unworthy of Mozart, though, especially unworthy of the Mozart of Don Giovanni; it might perhaps be rescued by imaginative staging – the libretto surely cries out for something truly sado-masochistic – but such was not the case here. Given the ‘liberties’ taken elsewhere, it was difficult not to feel sorry for Montvidas, losing Ottavio’s second-act aria. In context, though, anything that would hasten the end was no bad thing. Except, of course, the end did not come. The increasingly fashionable practice – it should be stressed that we do not know that Mozart did this, and/or how often he did so, in Vienna, and people should stop claiming that we do – of omitting the scena ultima was practised here, and so the work, such as it remained, simply stopped rather than closed. 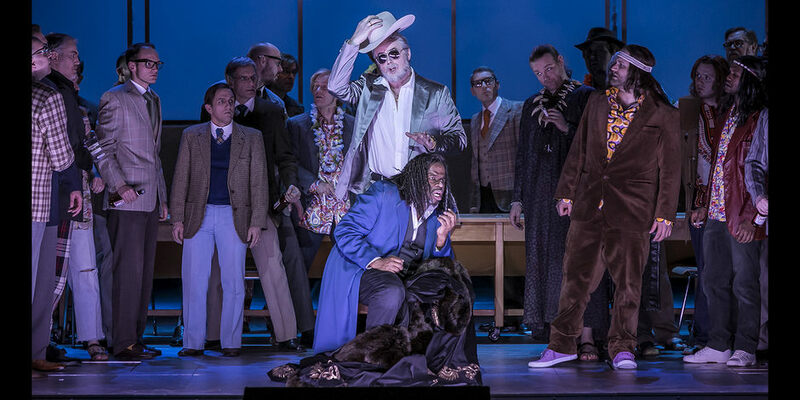 The proto-Brechtian alienation effect of the ‘moral’ was thus entirely lost, as in Claus Guth’s over-praised production (Salzburg, La Scala, Berlin), in which the uncomprehending director arrogantly accused Mozart of having bowed to convention. Let me put it this way: if you want to do what Mahler did, you really need to be of Mahler’s stature. Some versions of Don Giovanni acted in the composer’s and librettist’s lifetimes were outside their control (most obviously the singspiel versions), and knowledge of these richly informs reception history. Probably undertaken with no intention to slight the original, they document what seemed theatrically presentable in an irrecoverable time and place; this does not afford them status as a template for later interpretations. 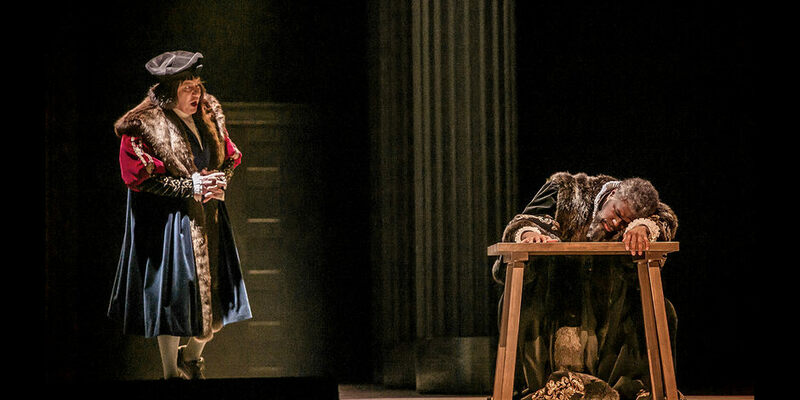 The modern theatre is not the eighteenth-century theatre; layers of meaning have accumulated that require access to a text we can ascribe to definite, even if multiple, authorship. … Woodfield … points to the irony of performances today going ‘authentic’ just as ‘the academy’ is beginning to take a more flexible view of such texts. We are indebted to him for presenting the ingredients that make up the early forms of Don Giovanni but we should not regard it as intrinsically wrong to adopt a version of nearly identifiable authorship rather than remixing the Don Giovanni soup for every modern production; we can safely leave that to the stage director. That seems about right – or does it? Is it a little too prescriptive? In theory, perhaps; in practice, when one suffers – well, you know the rest… At any rate, let us not disdain a thoughtfulness, a respect for Mozart and Da Ponte, that goes beyond a juvenile ‘look at or ‘listen to’ me. Two great Mozart conductors, duly honoured in the Semperoper foyers, would surely have nodded wise assent. Colin Davis and Karl Böhm, however, knew very well that it was ‘not all about them’. I may be an exile for the moment, not from London, but from England and Theresa May's racist regime. That does not mean that I cease to care, quite the contrary. There is no need for mawkishness. (Someone described London as 'the world's most beautiful city'. Whatever its many, many virtues, no more than Berlin is that.) There is no need for absurd over-reaction, either: these things happen in cities and always have. There is always, however, a need for Berio's Cries of London, in which echoes of street vendors' voices, echoes of the voice of the city, resound, not nostalgically, but with the creativity, the eye to the future, that characterise this and all great cities at their best. One of the greatest twentieth-century operas, scandalously neglected, by a great twentieth-century composer at least as scandalously neglected as any other. We knew that already, of course, or many of us did, but no one could have been in any doubt after this excellent Dresden performance. Whatever minor cavils I might have – mostly concerning the edition used – they will not seriously detract from that. Doktor Faust received its premiere here at the Semperoper in 1925; this premiere of a new production by Keith Warner, conducted by Tomáš Netopil, proved a worthy successor. I remember how Busoni was the first to claim that music in opera must not express what is expressed by the action. The opera is principally the product of four factors: the text, the music, the stage, and the singer. If one of these constituents is allowed to disregard what the others do, why should they not also enjoy the same privilege? For instance, the singer? Could not Monastasos ask Sarastro to dance a ‘pas de deux’ with Pamina? Or could not Lohengrin immediately after his arrival sell the swan to a butcher and start auctioning his gondola? Not that such reading against the grain would necessarily be a bad thing, if done intelligently; far from it. However, it is not in play here. 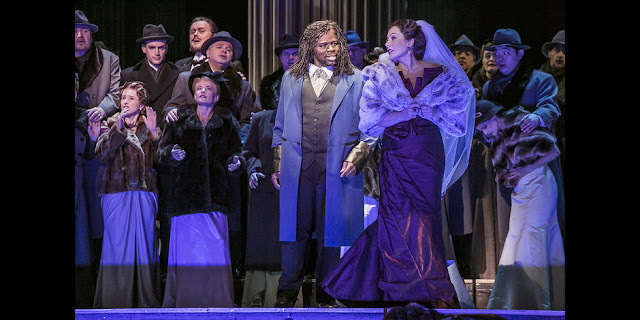 What is in play is a staging that successfully navigates the interplay between such opposing and/or complementary features of Busoni’s work, to which we might add (again, not unlike Wagner, if with different means) tragedy and comedy, temporal and eternal, continuing and formally delineated, and not least, the ideal and the ‘merely existing’. As lain out in the (here unspoken) Prologue, the opera’s distinctly non-Goethian origins – like Wagner, Goethe is a figure from whom one might well decide to keep one’s distance here – in earlier puppet theatre remind us that there is more than one route to selling one’s soul and indeed to enlightenment. We have been led to think for ourselves, though, before the formal beginning of the performance, when we see a group of students (dancers, as we later discover, offering intelligently choreographed commentary and dramatic incitement) perusing their books, what they are reading or thinking (presumably) projected onto the curtain. And so, when the curtain rises during the ‘Symphonia’, we see hints at earlier historical attempts at solving the eternal riddles of existence, parading ancient philosophers and Christ (I think) amongst them, the twin roots of our (and Faust’s) Western tradition. He, not unreasonably, seems very much weighed down by it all at his desk, the bargain he strikes in some sense a response to a depression that is perhaps both personal and collective. The fateful journey through which Mephistopheles takes our hero has elements again both of history and eternity. Indeed, even before the appearance of the final spirit, Faust has opened the book, Clavis astartis magica, to find a modern laptop. What might just seem a time-travelling gimmick, however, has a real dramatic point, increasingly so as the evening progresses. We place our faith in new methods of communication, new route to enlightenment, but do we thereby lose our diminish our critical faculties? Of course Faust would choose the sixth spirit, the one who travels as quickly as the thoughts of man (wonderfully double-edged! ), just as we sit here writing and reading online. But what trickery is there in the Mephistophelian magic that enables the brutal murder of the girl’s (Gretchen’s) brother, the glittering seduction of the Duchess of Parma, and most glaringly here, the apparition of Helen of Troy? The action has taken us forward, through the age of Einstein to that of Warhol (amongst others featured). In the Wittenberg tavern, transposed to a transatlantic flower-power joint, Mephistopheles provides Faust with the requisite hallucinatory drug to smoke. The apparition then is real, in the quotidian sense, but is it real in the Hegelian, philosophical sense? Perhaps, then, as with Wagner again, the scene is very well set for the (relative, at least) victory of Schopenhauer in the final scene, Busoni at least as explicit here as his great predecessor in the crucial importance of the philosophy of the Will. Too much metaphysics, or not enough? The production is open enough to have us wonder. I wondered, though, in that vein, whether we might have been better off with Philipp Jarnach’s edition, as premiered in Dresden all those years earlier, rather than the more recent version by Antony Beaumont. Beaumont’s version, incorporating material not used by Jarnach, is undoubtedly fascinating and closer to Busoni’s intentions. There remains, however, a nagging doubt, and I say this without wishing to posit a philistine distinction between ‘scholar’ and ‘composer’, that Jarnach’s punchier solution actually, in its relative infidelity (or, if you prefer, insufficiency), offers the better theatre. We should lose a good deal of the explicitly Schopenhauerian conclusion, yet the admittedly melodramatic final bars do their work so brilliantly that I missed them greatly. ‘Sollte diese Mann verunglückt sein?’ when spoken, offers an ending that is both teasingly ironic and recognisably tragic. Whether one wants that is, I suppose, largely a matter of taste. I had never heard the Beaumont ending in the theatre, and do not begrudge it. Might there, perhaps, though, be in the future some possibility of combining the best features of both? This is not, after all, Don Giovanni (about which more soon, also from Dresden). The arguments are finely balanced, I accept. Ultimately, it was far more important that Netopil and the Staatskapelle Dresden offered so expert an account of the score. The orchestra’s strengths were just as strongly in evidence as if they had been playing a repertoire work by Wagner or Strauss: perhaps a little darker of hue than they would have been in the latter, again suggesting a greater, despite-himself, kinship between Wagner and Busoni than many of us might have expected, but also harking back to the great (despite the cuts) recording by Rafael Kubelík with the Bavarian Radio Symphony Orchestra. (Kent Nagano in Lyons offers an account textually preferable and, on that account absolutely necessary, yet by dramatic comparison, a little more bloodless.) There was heft and there was light; there was mahogany and there was gold; and so on and so forth. Everything was well-paced, with excellent momentum. If there were a few occasions on which I thought the demonic sardonicism might have been played up a little more (notably the Flea Song), emphasising the closed nature of the form as well as its integration, then that stands at least on the verge of nitpicking. In this pair of concerts, the first a ‘standard’ Berlin Philharmonic concert, the second a shorter, ‘late night’ event with members of the orchestra’s academy, both conducted by Simon Rattle, we found our ideas concerning musical drama subtly challenged. The ‘principal’ event featured a somewhat odd pairing of HK Gruber’s Piano Concerto, receiving its first German performances, and Bluebeard’s Castle. Many stronger works would pale alongside Bartók’s opera; Gruber’s new offering certainly did. Its opening showed promise, as if straining to remember the 1920s jazz age, muted trumpet and all, then gradually appreciating that it did not need to remember; it could try something new. Except then it did not, at least to these ears. The piano seemed oddly to be on a different track from the orchestra, whether harmonically or rhythmically. In its part, ably performed, so far as I could tell, by Emanuel Ax, there was perhaps something at least analogous to the potential circularity of early twelve-note writing, but it did not seem to move beyond that circularity, to become generative. Otherwise, there was much post-Berg, post-Weill meandering – just as in any other work by Gruber I have heard. Dance rhythms – yes, waltzes and others – came and went. Perhaps the material might have lent itself better to a shorter piece: ten minutes? Two-and-a-half times that felt much too long. That out of the way, there was a great deal to enjoy in the Bartók performance, Ulrich Noethen’s Prologue (in German) setting the scene nicely, with a fine balance between the theatrical and what a concert can provide much better, the suggestion of theatre. Rattle’s conducting of the Berlin Philharmonic was for much of the time, especially earlier on, unobtrusive, seemingly content (however illusory this impression might have been) to follow the highly dramatic performances, concert garb and setting notwithstanding, of Rinat Shaham and Gábor Bretz. Bretz showed considerable, even irresistible charm, as well as darkness, in a dangerous, silken-smooth performance. Dark violas, piquant woodwind solos accompanied, questioned him, even held him to account, although we knew that we, like Judit, must ultimately submit. His repetitive questioning – ‘Félsz-e?’ – had great cumulative force, as much musical as verbal. Shaham’s wilful yet sensitive portrayal was well matched, equally well contrasted; one followed her decisions, understanding them even as one knew how foolish they were. Her fear was very real, no mere recitation. Their interaction, visual as well as vocal, came across as the key to unlocking the particular secrets of this evening. Without slipping into banal psychological realism, their portrayals treated Bluebeard and Judit as characters, not simply archetypes. Words and, more broadly, drama came first, one felt, but where does the drama lie? When the orchestra moved, as it were, centre stage, one certainly knew, for instance in the ominous yet never exaggerated ostinato writing following the closing of the iron door behind our unhappy pair. The effect was not entirely un-Wagnerian (Act II of Die Walküre, for instance): not the only time I thought of that particular predecessor in this performance. Each door brought full tragedy a step nearer; one felt that, score and performance telling one so, rather than ‘merely’ knowing it. Golden enchantment would have tempted us all, and doubtless did, all the more so for the fatalism surrounding it. And when that moment, the opening of the fifth door, came, not only did the earth tremble, as it never could on a recording, but the Berlin orchestra glowed – again, as it never could except in the flesh. 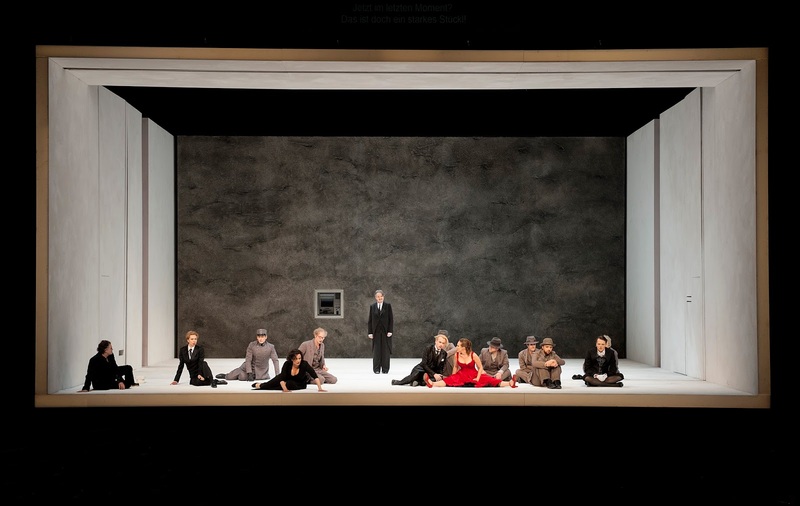 As the world darkened, the orchestra increasingly took over: not to the detriment of Bluebeard and Judit, but to seal their fate: implacable, irresistible. Here, Rattle’s shaping proved just the thing, alert to the narrative, without imposing upon it. Judit’s pride, as she insisted on opening the final, seventh door, led to quite the orchestral climax, almost Wozzeck-like. Thereafter was the tale, in every sense, of Bluebeard coming home, the evening glow again more redolent of Wagner than of Strauss. The forbidden question of Lohengrin, then, turned dark indeed. 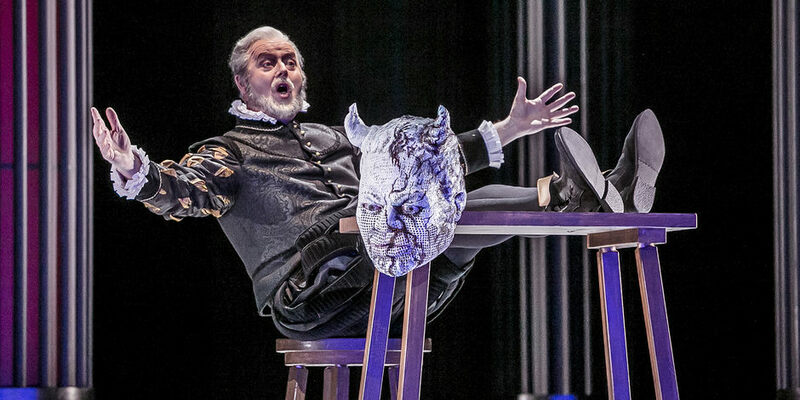 It was unlikely, indeed undesirable, that, having attended the earlier concert, one would not approach the ‘late night’ event with Bluebeard in mind. Berio’s works in particular shone in that light, as well as immediately providing their own illumination. First, however, Magdalena Kožená, the Academy musicians, and Rattle offered us a fine performance of Ravel’s Trois poèmes de Stéphane Mallarmé. One cannot but hear these songs and fail to appreciate the depth of Ravel’s response to, as well as his distancing from, Schoenberg. Debussy hovers too, of course, with all the (fruitful) problems of that relationship both in general and with particular reference to Mallarmé. Hearing the instrumental lines so soon after Bartók, though, one also felt a kinship in that respect: twin responses rather than ‘influence’ as such, no doubt, but no less interesting for that. The timbral radicalism of the very opening might almost have come from a chamber arrangement of Bluebeard or The Wooden Prince. Ravel’s word-setting, though, sounded as particular as ever, Kožená, like Shaham’s Judit before her, shaping the tonal universe before her, even as the conductor and instrumentalists might actually have been doing it for her. The precision and style of these young musicians left nothing to be desired; they might have been a crack new-music ensemble, and indeed that is precisely what they were. Kožená turned Berio’s Sequenza III very much into a piece, if this is not too much of a paradox, of music theatre for voice. (I do not think it is too much, when one considers what Berio is doing both in his Sequenzas more generally and in this in particular.) Language emerged from music, drama from both, but the relationships were never one-way. She was almost a Mélisande torn between her husband (Rattle sat at the corner of the stage, ready to make a percussion intervention) and a younger man suddenly lit up above. She gestured, shouted, sang. Did she decide? Was she even interested in decision, or indeed in those apparitions? The ‘shadows of meaning’ of which Berio spoke were ever apparent, ever new: such is the essence of performance. Drama lay not only in ‘portrayal’, but in the relationship between the performer and her voice, again just as Berio envisaged – yet doubtless, in another sense, quite different. ‘The voice,’ to quote the composer, ‘carries always an excess of connotations, whatever it is doing.’ So it did here. At last: a hall that programmes the concerts I should love to programme – or, perhaps more to the point, not so distant from the concerts Boulez might have programmed. The Pierre Boulez Saal is not Boulez’s hall in name only. His vision of a ‘salle modulable’ extended beyond its dimensions, its physical adaptability. Take a look at Boulez’s orchestral programmes for any given year, any given month, and you will be swept away by their mouthwatering promise. For instance, in June 1974, six concerts on six consecutive evenings (!) in New York with its notoriously reactionary Philharmonic Orchestra: (1) Brahms: Symphony no.4; Debussy, Ibéria; Bartok, Music for Strings, Percussion, and Celesta; (2) Handel, Music for the Royal Fireworks; Mozart, Flute Concerto in G major, KV 313/285c; Webern, Concerto, op.24; Varèse, Octandre; Ligeti, Aventures, Nouvelles aventures; (3) Schumann, Symphony no.2 in C major, op.61; Berg, Three Movements from the ‘Lyric Suite; Ravel, Daphnis et Chlioé, Suites 1 and 2; (4) Bach, Brandenburg Concerto no.3; Schubert, Symphony no.2 in B-flat major, D 125; Webern, Symphony, op.21; Boulez, Improvisations sur Mallarmé 1 and 2; Stravinsky, L’Histoire du Soldat: Suite; (5) Schoenberg, Serenade, op.24; Ode to Napoleon, op.41; Pierrot lunaire, op.21; (6) Schoenberg, Verklärte Nacht, op.4; Berg, Three Fragments from ‘Wozzeck’; Stravinsky, The Rite of Spring. Bliss it must have been in that dawn to have been alive. Such, however, is increasingly the case here too. Moreover, with the ‘thinking ear’ that is the hallmark of this new hall, each and every audience member can and should draw his or her own connections and contrasts, continuities and dialectics, essentially becoming a programmer in his or her own right: ‘in real time’, as the performance progresses. The doldrums of subscription concerts and their bored subscribers – why would one attend a two-hour performance, irrespective of what was being performed and who was performing it, simply because it was ‘on’? – have long deserved to be banished. More than once, they frustrated Boulez, not least in his desire to perform Busoni’s Doktor Faust in New York. Perhaps now, at long last, we are beginning to make another start. That will not happen, of course, without excellent performances; indeed, Boulez would recall that one of the banes of his earlier musical life had been well-meaning, yet technically insufficient, performances of new(ish) music, above all that of the Second Viennese School, which did more harm than good. It was one of the reasons he set up the Domaine musical, a forerunner, we might think, of the Ensemble Intercontemporain (on this same evening celebrating its fortieth anniversary in Paris), and of Daniel Barenboim’s own Boulez Ensemble, drawn from both the Staatskapelle Berlin and the West-Eastern Divan Orchestra, as well as from those teaching at the Barenboim-Said Akademie and guest artists. Here, this flexible ensemble, under the direction of François-Xavier Roth for the latter two items in the programme, and playing ‘simply’ as a chamber group for the first, justified the hopes placed in it as an ambassador for this musical mission. In Mozart’s Oboe Quartet, the players (Cristina Gómez Godoy (oboe), Yuki Manuela Janke (violin), Volker Sprenger (viola), and Kian Soltani (cello)) drew one in, made one listen, even seduced one into doing so. The acoustic, with its near-ideal blend of clarity and warmth helped, but again, that will come to naught if the performance is not also up to scratch. The difficult path between chamber and concertante work was carefully, or better confidently, trodden, so that the ear’s natural inclination to treat the oboe as separate from the strings was neither entirely denied nor indulged. Indeed, subtly shifting balances, always musically justified, were a hallmark of the performance – looking forward, perhaps, to the worlds of Schoenberg and Boulez. Phrasing was always impeccable, but never ‘in itself’; one always had a keen sense of response and its necessity, generating form rather than being moulded by a prior formula. The difference between an aria-like slow movement and an actual aria was clear; we heard the oboe (and not just the oboe) as soloist, but we heard what only it could do, rather than an imitation of a singer, however close the kinship. The warmth and, on occasion, involved quality of the so-called ‘accompaniment’ again looked forward to works later in the programme. Above all, perhaps, each movement, whilst contributing to the whole, had its own ‘character’, the Rondeau finale – a favourite gambit for Mozart – an especial joy in that respect, just so long as one listened. Donatienne Michel-Dansac joined Roth and his players (Yulia Deyneka (viola), Claudia Stein (alto flute), Lev Loftus (percussion), Pedro Torrejón González (vibraphone), Adrian Salloum (xylorimba), and Seth Josel (guitar)) for that landmark in post-war modernism: Boulez’s Le Marteau sans maître. Roth and Michel-Dansac have performed the work together before; their close partnership showed. But first, of course, the ensemble had its say, the ‘soloist’ not entering until the third of the nine movements. There was nowhere for the players to hide – just like in Mozart – but they had no need of anywhere to hide, their performances duly confident, even commanding. The occasional minor slip or insecurity will trouble almost any ensemble in this fearsomely difficult work, and will in no sense detract from the overall performance. What struck me here was the kinship to Boulez’s earlier performances: not so much those ‘pointillistic’ 1950s readings, although there was perhaps an element of that too, as those of the 1960s and ’70s. There was less of a tendency towards what we might broadly, perhaps too broadly, call Romanticism, and more of an emphasis upon the cellular. (It will always, I think, be a matter of degree, but degree matters.) Sometimes one needed to listen especially carefully to make the connections between lines, especially those of different instruments; it was not that the connection was not ‘there’, or that the listener had to do all the work, but that (s)he was, perhaps by way of contrast rather than connection with Mozart, less of an object of seduction. There was, indeed, a good deal of the shock of the new, or at least the classically new. ‘Period’ Boulez? I am not sure, but, as the composer’s grip over his works recedes into history, the possibility and likelihood of alternative performative strategies seems likely to grow – even, to use an appropriately Boulezian idea, to expand. Silences, intriguingly, seemed to tell as strongly as they might in Bruckner. Michel-Dansac’s performance earlier on, for instance in ‘L’artisanat furieux’ seemed – and I do not mean this as a value judgement – almost conventionally vocal, as if she were the soloist in a Baroque cantata whose language might be French, but whose inventiveness was that of Bach. If anything, intriguingly, her line seemed simpler, more ‘vocal’, than one of Bach’s might have been, perhaps suggestive of another French tradition: an updated Ramellian, or Ravelian, air? Art conceals art, though, and the complexity of her part revealed itself over time: development of a sort, if not quite how Mozart would have understood it. By the time of the closing double to ‘Bel edifice et les pressentiments’, she and her part were fully-fledged members of the ensemble. Hierarchy had been questioned and transformed with the means of that time-honoured mode of vocal experimentation: ‘tempo libre de récit’. Percussion seemed almost to acquire a voice, just as the voice shed its words. And yet, there was finality too, to a performance well-shaped. Schoenberg’s First Chamber Symphony was long a favourite work of Boulez’s. Listen to him performing it with his Domaine musical musicians and you will find a bracing reading indeed, almost spoiling for a fight. I heard him conduct the Scharoun Ensemble (drawn from members of the Berlin Philharmonic) in 2008 in as close to an all-encompassing performance as one could imagine, far more at ease with itself, yet never wanting excitement. Roth likewise seemed to approach the work as a classic – which surely by now it has long been. That is not to imply lazy familiarity, but rather an appreciation of its formal and expressive (the two are inextricably intertwined) greatness, which no longer needed to plead a cause. Every member of the ensemble contributed an incalculable amount; each part proved as crucial as any other. Balance was never an issue – or rather, when it was, it was musically an issue, part of the performance, rather than something detracting from an ‘ideal’ version thereof. For, just as in Mozart’s Oboe Quartet, balances shifted; we looked, or listened, into a future of Klangfarbenmelodie, even of Boulez. It was, though, above all the inventiveness of Schoenberg’s post-Lisztian transformation of sonata form that provided the drama. Straussian, Wagnerian, Brahmsian harmonies might come and go, refracted by the new uses to which they were put, but the formal propulsion of work and performance were, quite rightly, the principal narrative. This might, to return to that first cited New York performance from Boulez in 1974, have been a Brahms symphony in itself – and in many ways, that is just what it was. Shorn of the accoutrements of the symphony orchestra, work and performance reminded us what the real point of that orchestra and its continuing great tradition might yet be. Under Zubin Mehta, the assembled forces gave a broad, central performance of Haydn’s imperishable oratorio, The Creation, neither noticeably ‘period’-influenced – one would hardly expect it to have been – nor especially assertive in its ‘traditionalism’. All such terms are at best problematical to the point of meaninglessness, I know; yet, by the same token, the reader will most likely have a good sense of what is intended. Save for the sparing use of the harpsichord during orchestral passages, then – something about which I cannot bring myself to become too excited either way – I cannot imagine that there would have been anything to scare the horses either way, which is not to say that this was dull, or boring. An equally problematical idea is that of permitting the work to speak for it itself, but that again is pretty much the impression one received. There was plenty of air in the orchestral performance, for instance, during the opening section of Uriel’s first aria, but, by the same token, scope for something darker, when, during that same aria, Hell’s Spirits briefly put in their not-entirely-frightening appearance. 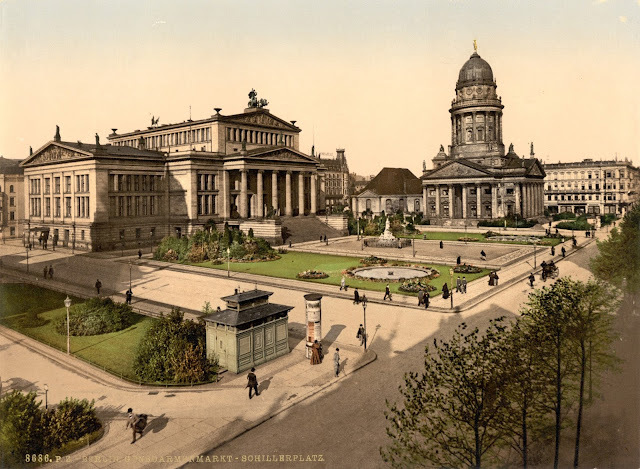 Likewise, the real depth to the sound of the Staatskapelle Berlin – always a great strength of this orchestra – in Raphael’s ‘Rollend in schäumenden Wellen’ was not at all at the expense of variegation in sound. Much the same, far from incidentally, might be said about René Pape’s account of the solo line, about which more a little later. Orchestral solos and ensemble writing were, without exception, beautifully, even heart-rendingly, presented: take the clarinet in ‘Nun beut die Flur das frische Grün’, or the ravishing three flutes against pizzicato in Uriel’s Third Part opening number, ‘Aus Rosenwolken bricht’. Eden indeed, then, and the horns proved just as beautiful, as noble of utterance. Even the timpani underlay, subtle yet directed, had me think: ‘Have I actually heard it quite like that before?’ Whether I had or no was hardly the point, for I was made, or gently guided, to listen. Pictorial elements sounded as musical as well as illustrative as I can recall. Maybe even Berlioz would have recanted from his view that this was a work that made him want to murder somebody. A particular highlight of the orchestral playing for me was the sound of violas and cellos in Raphael’s accompagnato, ‘Und Gott schuf große Walfische’: the archaism conjuring up a reimagined viol consort, the modernity equally striking. Tempi were generally much as one, or I, might have expected, sometimes a little slower – for instance, in a dignified reading of ‘Mit Staunen sieht das Wunderwerk’ – and sometimes a little faster – for instance, in a very swift reading of the final chorus – but never unreasonably so, and never with the impression that something was being done to the work. There was a Handelian sturdiness to choruses such as ‘Die Himmel erzählen die Ehre Gottes’, which enabled quietly spoken majesty to emerge. Perhaps there might on occasion have been a little more sense of theatre, but subtlety and a lack of grandstanding reap their own rewards. Certainly the choral singing was beyond reproach throughout. The clarity of, for example, ‘Stimmt an die Saiten’ such that Haydn’s imitative writing registered as strongly as I can recall, without prejudice to a necessary, or at least desirable, impression of heft too. If Julia Kleiter might have seemed, on paper, somewhat lighter of voice than the rest of the assembled company, such a contrast did not manifest itself in reality. Indeed, if anything, it was the relative lightness of Pape’s voice that surprised: not exactly toned down, but with a keen sense of style, and splendid attention to the words. Their duetting as Adam and Eve proved a joy, rightly breathing the air of the opera house as much as the concert hall, the Konzerthaus’s staged past perhaps coming a little more to the fore of its historical palimpsest. Pape proved suavely seductive – the rolling of his ‘r’ in ‘Der Früchte Saft alone… – and Kleiter sweetly knowing in response (‘Der Blumen Duft’). Her phrasing and overall shaping of lines throughout was both stylistically irreproachable and happily dynamic in dramatic expression. 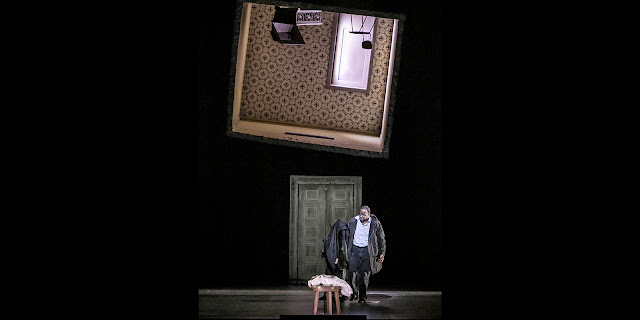 Christian Elsner showed that a Heldentenor – he is, I read, a noted Parsifal, although I think I am yet to hear him in the theatre – need not shy away from Haydn, far from it. Indeed, there was something almost of Siegfried Jerusalem (think of his Seasons with Marriner, or indeed his Magic Flute with Haitink) to the fine balance struck between style, heft, and winning sweetness of tone. If I did not emerge from the performance with any of my ideas concerning the work notably upset or transformed, there is a good deal to be said, especially in such troubled times, for something that reminds us of the civilization, the Europe, the Haydn for which we should all be fighting. The prospect of a staging from Ariadne auf Naxos from Hans Neuenfels was exciting indeed. His Bayreuth Lohengrin is well-nigh universally acknowledged, usual irreconcilable suspects aside, as a modern classic. Both Mozart stagings I have seen from him – Salzburg’s Così fan tutte, my first, and La finta giardiniera, here in Berlin – have been intelligent and probing. There is, of course, a much lengthier history to his work in spoken theatre and film, as well as his own writing, indeed in opera too, dating back even beyond his celebrated 1980 Aida for Frankfurt, whose landmark treatment of the work’s Orientalism outraged not only those aforementioned usual suspects but, it seems, a good few others aside. What would he do, then, with Strauss, whose twin musical gods were Mozart and Wagner, here in Ariadne, as so often, set in fruitful competition, contradiction, and perhaps reconciliation with each other? Perhaps I should have known to expect the unexpected, but what I did not really expect was restraint, even conventionality, albeit shorn of a good deal of the theatricality and metatheatricality that lies at the heart of most productions – and indeed of the work itself. Such is largely what we see, or do not see, at least in the Prologue (save for the sudden, brief reappearance at the end, at the back of the stage, of Troupe Zerbinetta’s male members, as it were, replete with enormous strap-on dildos, enthusiastically waved around. I have no idea why in context, but it certainly attracted attention.) There is otherwise little sense of visual provocation; Andrea Schmidt-Futterer’s costumes convey a sense of modernity in its chic, allegedly ‘timeless’ form. Katrin Lea Tag’s set is relatively spare, as in the Opera proper; there is no sense, as has recently been fashionable (for instance, Christof Loy at Covent Garden or Claus Guth in Zurich), of attempting anything with self-reference to its particular location. I am not sure why it was necessary for the Major-Domo to extract money from a cash machine, suddenly revealed in the wall. Maybe it was just underlining a point concerning patronage; maybe it was a passing hint at vulgarity. (Do the super-rich have such things in their houses as amusements, or perhaps as safety deposit boxes?) I did not especially care for the performance of Frau Neuenfels, Elisabeth Trissenaar, in that role; she is an excellent actress, and was so again here, but her delivery was strangely caricatured, not least in this otherwise straightforward context. The parody here is surely pretty much written in; adding more seems a little like caricaturing the musical caricatures of Mahler’s Fourth Symphony. Otherwise, all is rather as it ‘should’ be, well directed, well presented, but not especially interesting. In the Opera, that changes somewhat, yet only somewhat. Another brief baffling moment – to me, at any rate, although perhaps I was being slow – is the arrival and speedy departure of an ecclesiastical procession. Again, the designs are not lavish; it is, after all a desert island. Again, the action is not complicated. There are, however, certain enigmatic, I should say suggestive, touches – and one important intervention. Threads are handed out (by the Composer, if I remember correctly) at the beginning, to Naiad, Dryad, and Echo; they snap, or were never woven together in the first place, suggesting and yet deconstructing the Fate of Wagner’s Norns. A mysterious puppeteer (JARNOCH) wanders on and off, on one occasion bearing Grecian masks (Theseus and Ariadne? ), and parading ‘Schicksal’ (destiny) on the back of his T-shirt. His acts open up rather than close down possibilities for reflection: just what a production needs. Zerbinetta tries to instruct Ariadne, but the latter pays heed neither to her song nor to her written slogans. For it seems that Ariadne has a death-wish, one which, revealingly, perhaps as an Adornian Rettung (‘rescue’) of the work, is fulfilled. 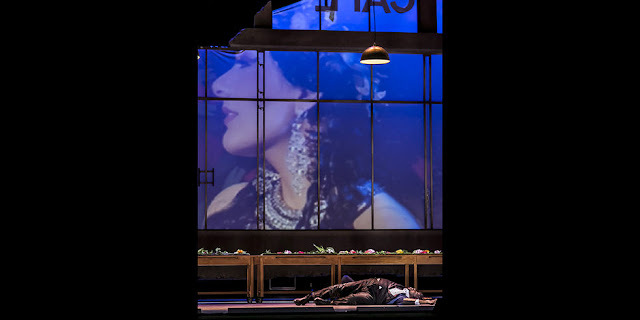 She does not join Bacchus, but takes her life, highlighting the contradictions of the final scene, Hofmannsthal’s wish for ‘transformation’ dealt with at least as severely (and perhaps rightly so) as Strauss’s stubbornly materialist peroration. Tragedy is reinstated, as many a composer of opera seria – would like. And the Composer joins Ariadne in her death. Such, after all, is the lot of modernity, after Hegel: art would die and yet we will not, cannot, let it. We need our modernistic fragments, however much they refuse to add up. We certainly do not need what Adorno excoriated as the Happy End, although it is what mere ‘entertainment’ – paid for, because it gains ‘results’ – will give us. If only this might have been read back into the relatively disappointing Prologue. There was much, then, to engage the mind. What about the ear (insofar as they may be distinguished from one another)? Anna Samuil, alas, offered a crude performance as Ariadne, her constant wide vibrato wearing and her acting ability rudimentary. Roberto Saccà’s Bacchus was better, although workmanlike rather than thrilling. (One cannot always, or even often, have Jonas Kaufmann, I suppose.) Katharina Kammerloher’s palpably sincere Composer was more impressive, although her vowels were sometimes distractingly strange – and she shaded dangerously close towards sentimentality at the end of the Prologue. Elena Sancho-Pereg, however, made for an excellent Zerbinetta. The coloratura held no obvious fears for her; just as important, she presented a more rounded character than one often encounters. Perhaps Ariadne should have listened to her after all. The other roles were all well taken, with a fine sense of company, Arttu Kataja’s Music Master, Gyula Orendt’s Harlequin, and Sergiu Saplacan’s Officer especially pleasing. Eun Sun Kim’s direction of the orchestra was mostly competent, yet rarely more than that. She made a somewhat vulgar meal, surprisingly so, out of the Composer-Zerbinetta duet, otherwise tended to more of a Kapellmeister’s approach. The Staatskapelle Berlin sounded glorious, though: darker than, say, Vienna or Dresden and all the more intriguing for it, not only as Neuenfels’s staging shifted towards overt tragedy, but all along suggesting an alternative path to that which we ‘knew’. The players’ soloistic prowess was second to none throughout, yet they clearly listened to each other too, lengthy experience of chamber music telling. The musical art of performance, then, lived in the pit even as we witnessed the representation of its death onstage. Sometimes Zerbinetta’s ‘neue Gott’ turns out to be the god we have known all along, transformed.